One phone call could save you thousands. 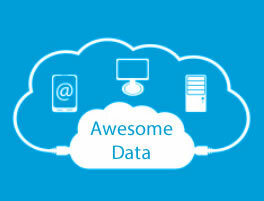 At Awesome Data we believe in simple, transparent pricing that is budget-friendly and honest. Never worry about hosting, upgrades, unexpected costs and more. Our standard customer plan includes a large number of benefits like a dedicated implementation specialist, unlimited support, unlimited seats and the ENTIRE software package configured for your specific industry/attribute needs. Our optional services offering accommodates clients that would like to outsource their data management work to us or have specific customization or machine-to-machine integration requirements. Discover a better way to manage your product data. Improve your data quality and embrace your retailers’ unique requirements. Contact us for a custom quote. You will not regret it. Call us today to find out what our awesome technology can do for your business.